Description: photo of three women and two men at the International Boundary. 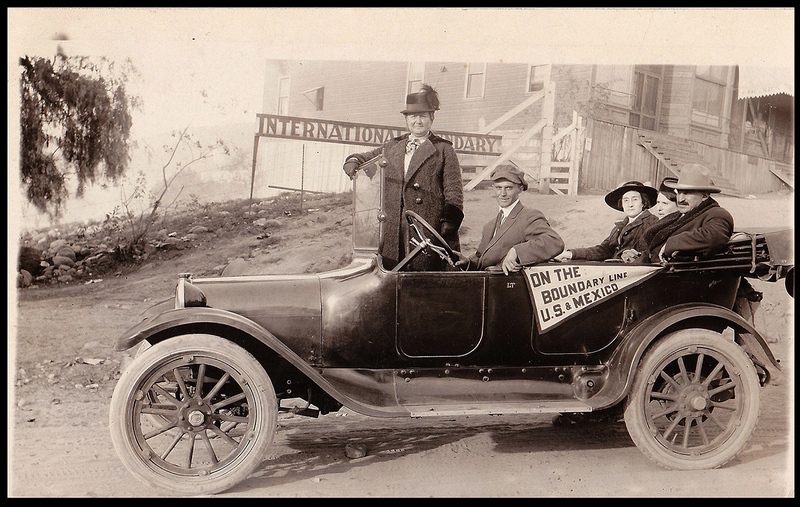 In the back seat are Cornelia Gonzales, her Tia Manuelita Gonzales and Tio Jose Gonzales. Jose had a substantial ranch in Galisteo, and Cornelia lived with her brother Nazario in a Delgado Street house just to the south of Canyon Road. Pennant reads "On the Boundary Line, U.S. and Mexico." 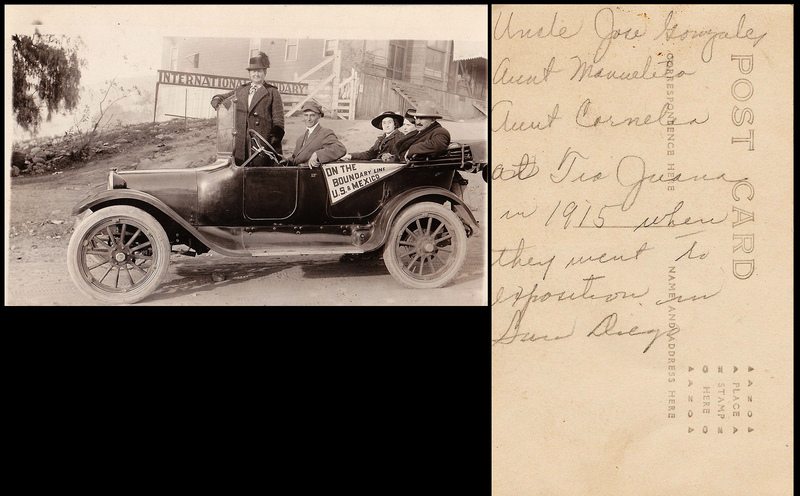 Handwritten on back of card: Uncle Jose Gonzalez, Aunt Manuelita, Aunt Cornelia at Tia Juana in 1915, where they went to Exposition in San Diego".